iTunes Store Revenue: Yesterday, we talked about Apple Inc. (NASDAQ:AAPL)’s iTunes Store getting an upgrade. In participating countries, Apple users now have the ability to purchase content now but download at a later time when it is more convenient for them. While this is a feature that is sure to work in the favor of Apple Inc. (NASDAQ:AAPL) iTunes users, the Cupertino based company may find that it also helps increase revenue. Of course, the iTunes Store is doing just fine in terms of revenue. Although it seems like the iTunes Music Store has been around forever, this Sunday will mark the service’s 10th anniversary. Yesterday, Apple reported that its iTunes Store, the most popular of its kind, broke all records during the second quarter of 2013 with revenue of roughly $4.1 billion. With the ability to purchase everything from music to video to television shows and ebooks, there is no wondering why this store has become so popular over the years. With that in mind, did anybody see this coming? If you would have looked into the future five years ago, for instance, would you be able to imagine Apple Inc. (NASDAQ:AAPL)’s iTunes Store putting up revenue numbers like this? Probably not. At $4.1 billion, you may see nothing more than a huge number. But don’t stop there. Let’s take a look at what this means year over year. When compared to the second quarter of 2012, this is an increase of 30 percent. Apple CFO Peter Oppenheimer is as excited as the next person, but not just because revenue is at an all-time high. Instead, he noted that purchases from Apple Inc. (NASDAQ:AAPL)’s iTunes were responsible for 74 percent of app sales throughout the industry. This includes the company’s prime competition, Google Play. Increased expansion is just one of the many reasons for bigger numbers this time around. 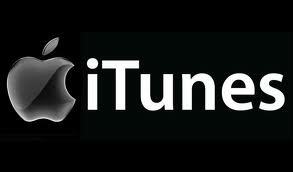 Did you know that iTunes is now available in 155 countries? This makes it simple for people all over the world to purchase digital content. With the iTunes Store growing by the day, it will be interesting to see what type of revenue numbers the service can push in quarter three. It may be hard to top $4.1 billion, but Apple definitely has momentum on its side. With more than 850,000 apps alone, users can get what they want by visiting the iTunes Store. Compare this with new features, such as the “buy now download later,” and it is easy to see why things are looking up as far as this service is concerned. Check back here for more updates on iTunes Store Revenue.